Mindfulness has become a popular topic for mental health and well-being. But what does it actually mean and where does it come from? Many mindfulness exercises involve practicing just that—being mindful. It involves focusing on breath, posture, and the space you occupy in the present moment. 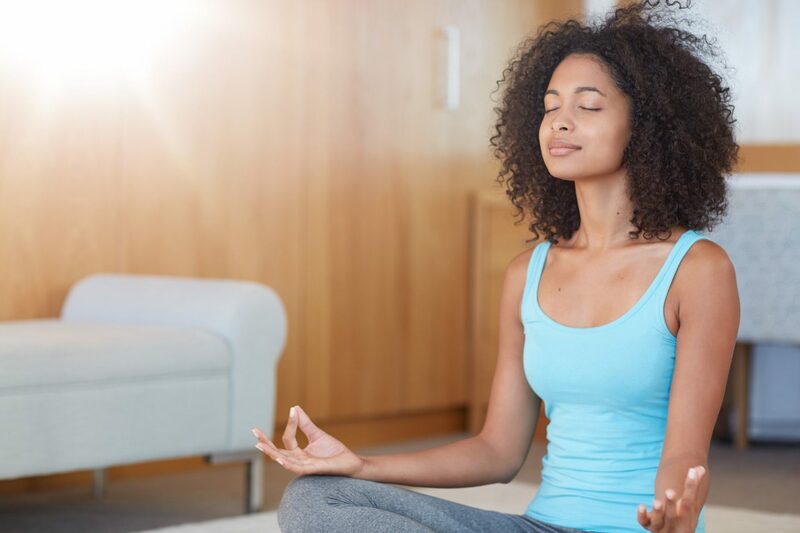 Often, even just adding a few minutes of meditation to your daily routine can make a big difference in your overall sense of mental well-being. Choose a time: For many people, morning is a calm choice, but choose what’s easiest for you and stick to it. Choose a place: Consistency can be helpful to ground your practice. Preferably, choose a place that’s quiet and where you can sit and relax for a few minutes each day. Set a duration: It’s good to decide before you start how long you’re committed to. Start with five minutes, and slowly build upon it. Set an intention: At the beginning of each meditation, remind yourself why you are meditating that day. Breathe from the belly: Take a few deep inhales, and a few deep exhales, allowing your body to unwind. As you breathe out, focus on relaxing different muscles and areas of the body with each breath, moving in one direction up or down the body. Find a point of focus: Not necessarily a physical object, but something like the breath as it flows in and out of the nostrils, or the chest as it rises and falls with each breath. With a relaxed body and an open posture, this keeps your meditation focused on the present. If you’re able to sit a little bit each day and be mindful of the present moment, not only will you experience noticeable benefits like the ones listed above, the practice will become easier. Commit to what’s possible for you, and stick with it. Should you want further tips, please consult with your chiropractor. 1Horowitz S. Health Benefits of Meditation: What the Newest Research Shows. Alternative and Complementary Therapies. 2010; 16(4): 223-8. doi:10.1089/act.2010.16402. 2Morone N, Greco C, Weiner D. Mindfulness meditation for the treatment of chronic low back pain in older adults: A randomized controlled pilot study. Pain. 2008; 134(3): 310-9. doi:10.1016/j.pain.2007.04.038. 3How to Meditate | New York Insight Meditation Center. Nyimcorg. 2016. Available at: https://www.nyimc.org/how-to-meditate/. Accessed November 4, 2016.